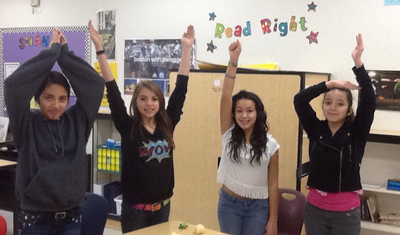 AVID is a class that is actually an acronym, “Advancement Via Individual Determination”. The class teaches leadership skills, family, and GRIT. Grittiness is a passion through perseverance to accomplish a long term goal. I believe AVID is one of the best classes. AVID will help yo with organization internally and externally. Some of the many things we do in AVID include TRFs, Cornell Notes, tutorials, binder and planner checks, career field trips, and guest speakers. Learning things such as being able to take notes is a skill that will be necessary for high school and college. Speaking of college, AVID’s main goal is to prepare you for college and provide activities to build skills that will allow you to be ready for life. During AVID we also do something known as tutorials. Tutorials are exactly what they sound like, a tutorial. You requst a tutorial by filling out a TRF, or a “Tutorial Request Form”. AVID is one of the best programs because without it some of these kids wouldn’t be where they are today (i.e. making up classes, positive feedback/communication). AVID is like a family. You help each other out with issues that you cannot resolve on your own. Everyone has had experience with different things, and everyone knows what it’s like to be in a certain situation and can help you out and provide advice and support. These are some of the reasons that I believe AVID should be available in all schools. Thank you to all these people; we are very grateful. We’re able to make AVID successful via you! AVID offers a variety of field trips and guest speakers. Field trips usually include trips to assorted colleges, AVIDize events, and other things that can help the AVID students come closer to achieving their college goals and bring the AVID class together as a community. Guest speakers are volunteers that come from assorted jobs, colleges, or even other AVID students that can give motivation, talk about their job, or give advice on how to get into a good college and graduate from school as a valuable member of society. Mostly we listen to these speakers, ask related questions, and take notes during their discussion using the Cornell note-taking form. Some of the guest speakers include soldiers in the military, AVID students from South Eugene High School, teachers, bio-chemists, police officers, entrepreneurs, and much more! In conclusion, AVID offers its students a large variety of field trips to see what their future might be like if they work for it, and guest speakers to guide them on that path to educational success. With every field trip, with every speaker, we become more skilled, smarter, and better prepared to take on the outside world and achieve our college dream.